These pinwheels are made with 2 pieces of stitched ribbon using 7/8″ grosgrain, mounted on a 40mm French clip, wrapped with 3/8″ matching grosgrain at the center and measure 2 1/2″ in width at completion. Fold the 7/8″ ribbons in half and mark the center. 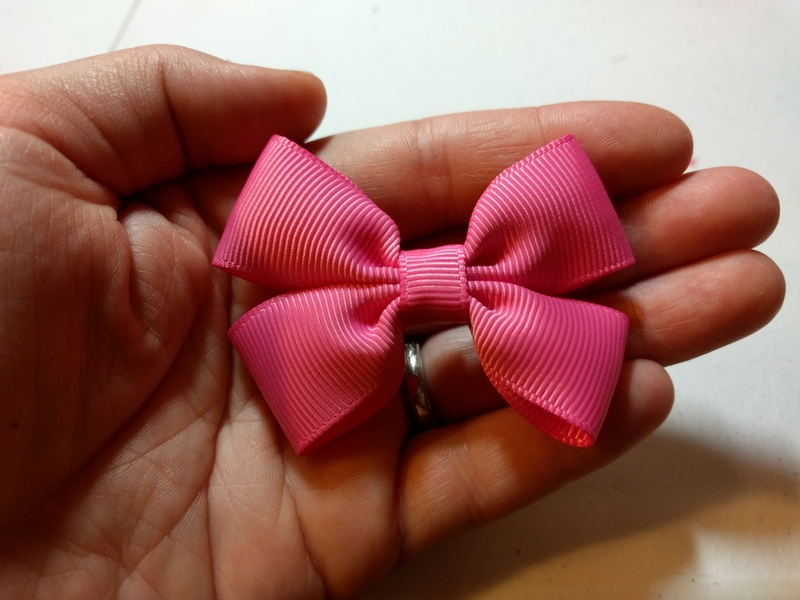 Then, 1 ribbon at a time, fold the ribbon like you are going to make a tuxedo bow tie and using the needle and thread, make 2 stitches down the center. Repeat on the 2nd ribbon. Wrap and cinch together neatly. Glue clip on and wrap center. 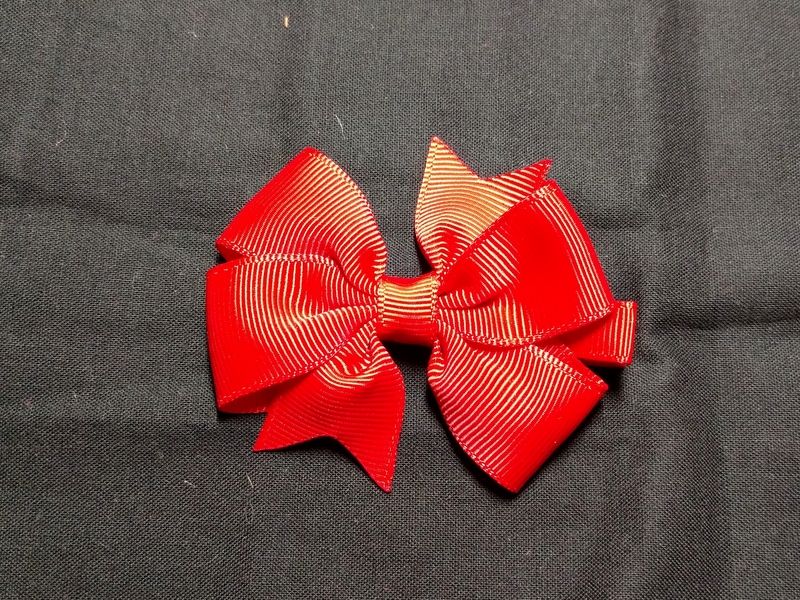 I’ve made these in every color of 7/8″ ribbon I have, which is about 25 colors. 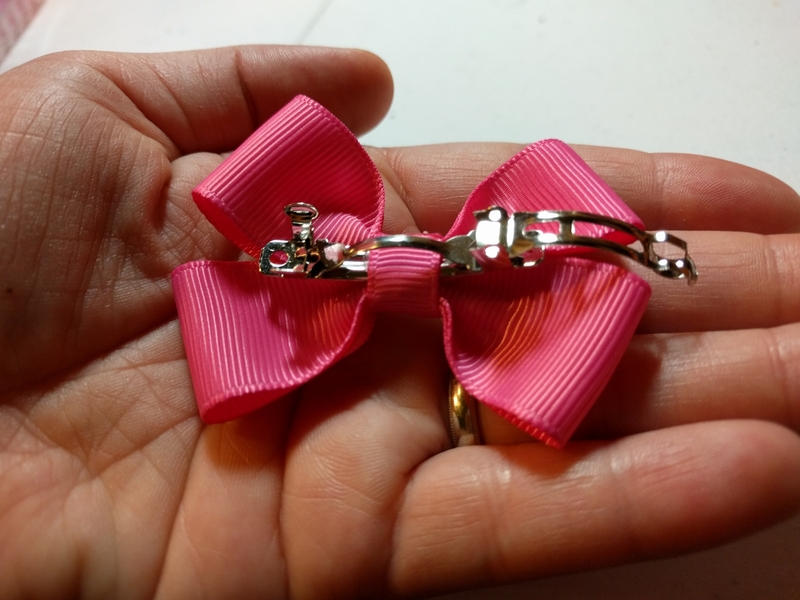 They are such a popular and cute clip and so easy to make. 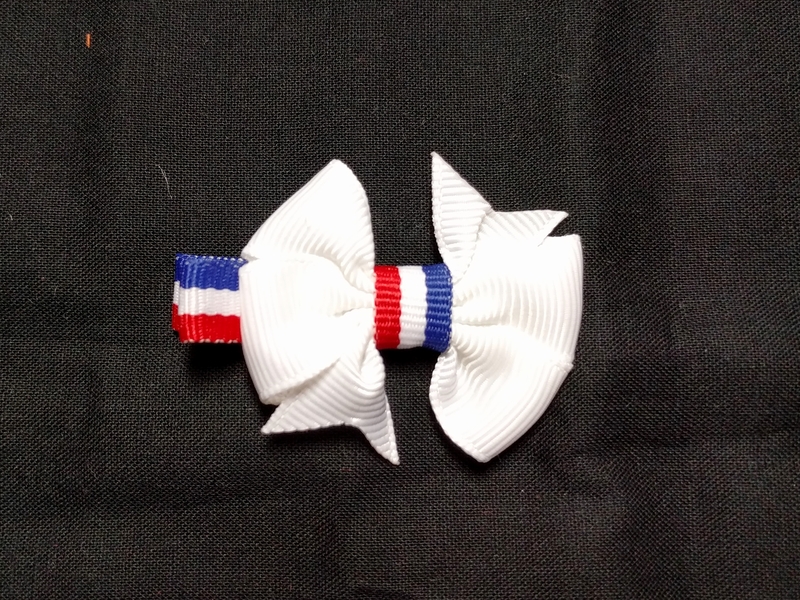 They are much quicker to make and cheaper if you mount them on an alligator clip than a french barrette clip, however, nothing stays in my daughter’s hair unless it is on a french clip. I sell these for $2 at the craft fairs and they go quickly. These are very general instructions, so I hope to be posting a video with more detail as soon as I can. Trace templates for circle and cone onto the pieces of 2 1/4″ black ribbon using a white chalk pencil or light colored pencil so you can see where to cut it. Cut out circle and cone, and heat seal all edges. Use scissors if necessary to even out bottom of hat so it will sit flat on the circle, just make sure there are no bumps. 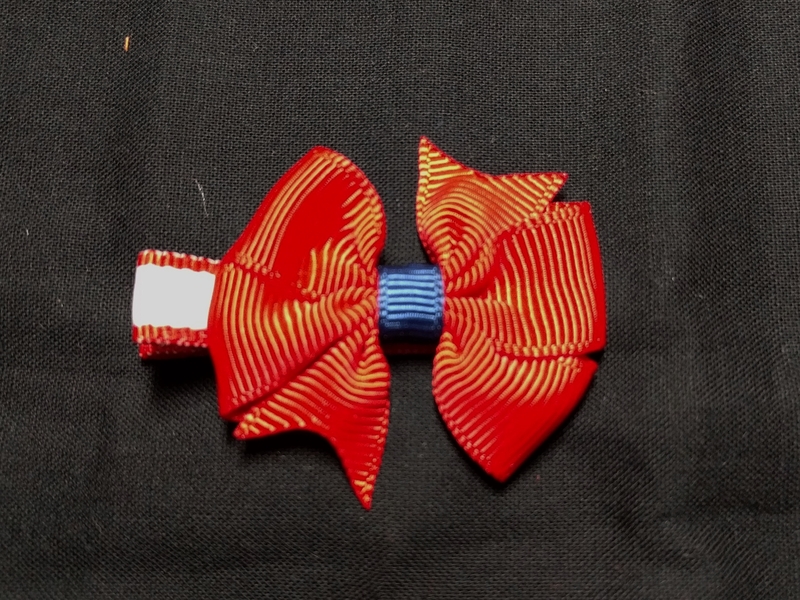 Starting in the back of the hat on the crease, glue the 3 1/2″ piece of Halloween ribbon to the hat with 1 dot. It will still be sticking out on both sides. 1 side at a time, add a little glue and adhere, wrapping it around to the front. It will not all go on, it will slant down, and you will cut off the excess afterwards. Cut off excess from wrap. As evenly and quickly as possible, line glue around the entire circular bottom of hat cone and then center and stick onto hat circle before it dries. Make bow, and glue onto center front of hat where points of hat wrap meet, thus covering that part up. Finally, determine which way your hat will face and glue onto a ribbon lined alligator clip. Fold 7/8″ ribbon into cone shape and glue folds in. Glue hat belt onto cone with slight overlap. Round ends of the black brim using lighter, then using slight overlap, glue onto hat belt. Determine which way the hat will face, left or right and make bow tie and glue on. 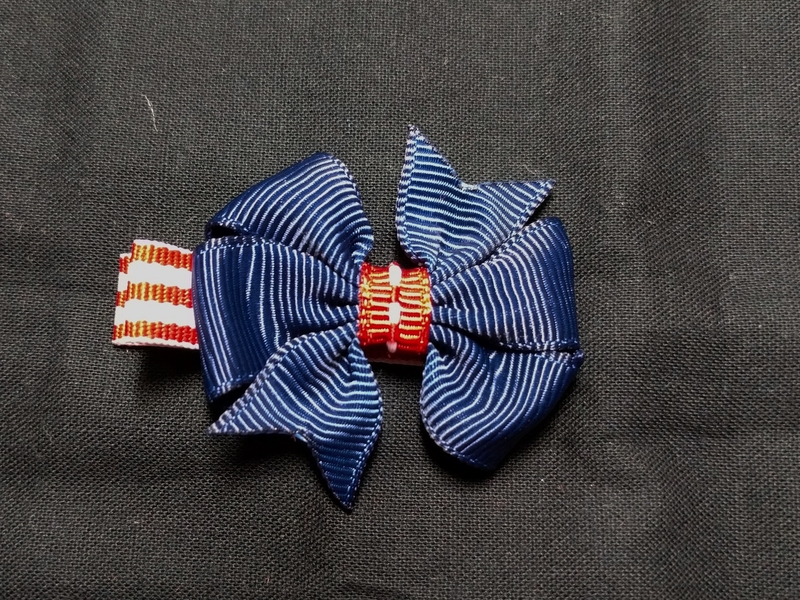 Attach bow to ribbon lined clip. Other Halloween ribbon patterns to consider. 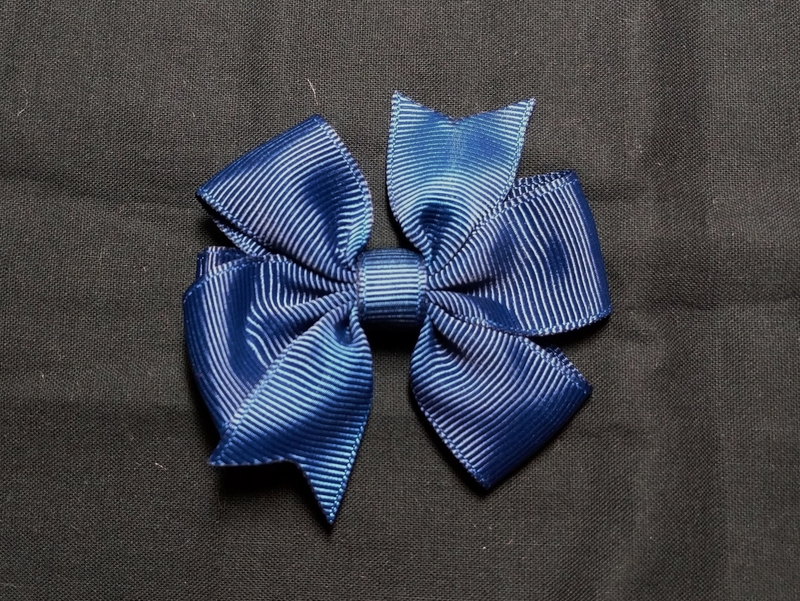 Check EBAY for great prices on ribbon.